Hello Trick or Treaters! Since it's Halloween we are sharing the last of our fun projects from our Trick or Treat collection. If you've got some of our Trick or Treat collection don't forget to share your Halloween inspired creations with us on our Facebook wall! Happy Halloween from all of us at My Little Shoebox. We hope you and your families have a safe and fun Halloween. Hi this is Jenifer here with you today. I am so excited to share my projects using the Secret Garden Collection. I love this collection and ended up using every last little scrap I had of it. For my first project I created an 8x10 canvas. I did a bunch of layering and painting to make it just right. Here is a close up of the banner and the cute girl, I just had to put one of the rolled up flowers in her hair. Here is a closeup of the title and her dress. I just did a bunch of layering for the skirt. For the title I used a mixture of alphabets along with the new Muse alphabets. I love the Muse stickers they are my favorite, and I use them on almost everything. Up next is a super fun layout I created, I love how the butterflies move your eyes across the page. This is definately one of my most recent favorite layouts. Thank you so much for taking the time to look at my projects today. Make sure you stop by tomorrow for even more inspiration. Hello MLS fans. This week we teamed up with Want to Scrap to bring you some inspiration with the collaboration of My Little Shoebox collections and their beautiful products. 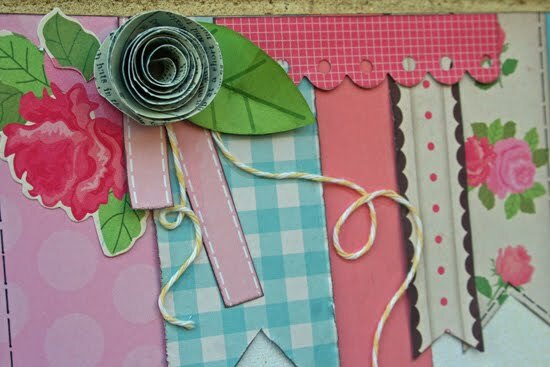 Our designers were given a nice package of Want 2 Scrap goodies to create with and we hope you enjoyed what our team has done with them this week. Thanks for all your comments on Thursday's posts, the designers blogs and the FB wall at Want 2 Scrap. Here are our winners. Now it's time for you to hop on over to Carol's blog to see her entire project. We hope you enjoy the designer's project featured today. We’re also offering a chance for you to win some My Little Shoebox goodies for yourself. Here's the details on how you can win. My Little Shoebox is giving away one last collection kit today. Leave a unique comment here on the MLS blog then head over to Carol's blog and leave a comment. 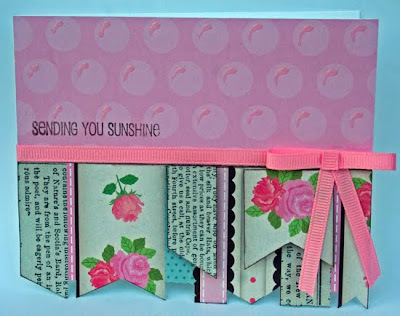 One winner will be chosen randomly from all comments on the My Little Shoebox blog AND the designer blogs. Make sure you also stop by the Want 2 Scrap Facebook Page and tell them My Little Shoexbox sent you as an extra entry. 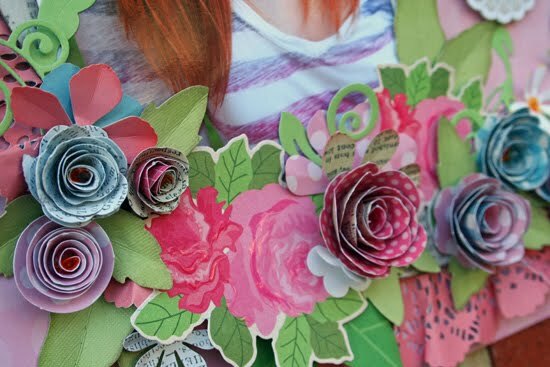 For more inspiration, don't forget to visit the Want 2 Scrap blog. Hello MLS fans. This week we’ve teamed up with Want to Scrap to bring you some inspiration with the collaboration of My Little Shoebox collections and their beautiful products. Our designers were given a nice package of Want 2 Scrap goodies to create with and we hope you enjoy what our team has done with them. Thanks for your comments on Wednesday's posts. Here are our winners. **Congratulations! Email us your addresses to dt@mylittleshoebox.com with Want 2 Scrap winnner day 1 in the subject line. Now it's time for you to hop on over to their blogs to see what they've created for you. We hope you enjoy the designers projects that are featured today. We’re also offering a chance for you to win some My Little Shoebox goodies for yourself. Here's the details on how you can win. My Little Shoebox is giving away two collection kits today. Hi everyone, Pattie here with a Tuesday tutorial. 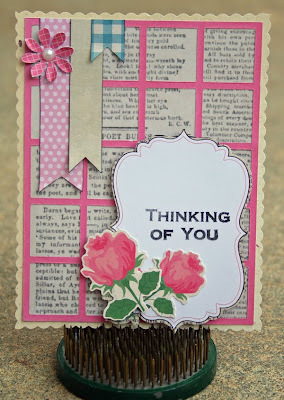 I will be showing you how to create the grass portion on the card. It's actually box pleated paper. I love that look and have been box-pleating paper for some time now. You can use a variety of border punch to change the look and make it yours. When scoring a strip of paper for box pleating, please remember that your paper shrink by about 1/2 of the original length. So if you score a 12" piece of paper, it will be 6" when you are done. If you want to create a box pleat border for a 12x12 layout, you would need 2 strips of 12" paper, adhered together to make a long enough strip for your layout. When scoring, you will need to score at the following dimensions. The 1st score is at 1/2", then every 1/4", then 3/4", 1/4", 3/4", etc. until you have scored the whole strip. Have fun!! Hello MLS fans. 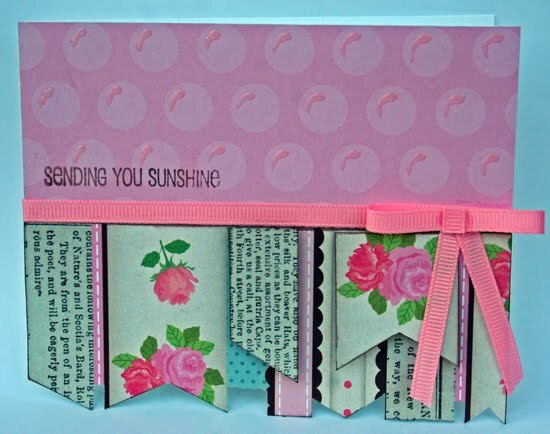 We’ve teamed up with Want 2 Scrap to bring you some inspiration all this week with the collaboration of My Little Shoebox collections and products from Want 2 Scrap. A mini and cards featuring Oh Deer! Hi everyone, Pattie here to share with you my mini album and cards using My Little Shoebox's Oh Deer! collection. This collection is so perfect for all of your autumn projects. The rich warm colors evoke a feeling of crisp afternoons and falling leaves, hot apple cider and relaxing at home with a good book or some scrappy goodies. Here is the mini album that I created. I had so much fun layering and inking my papers and stickers. Talking about inking, did you guys notice that our Mini Alphabet letters are now being sold in a new format. You still get the same great stickers, but now they have a matte finish. Hmmm.....what's so great about that you ask? Well, now the letter stickers are perfect for inking and distressing and even stamping your favorite pattern onto. They take ink and mediums perfectly. So you can, say, take the Cream Mini alphabet stickers and stamp spooky spiderwebs onto them, and you have instant Halloween minis. Don't know why I went so off track, but I just thought that you might like to know how great our Mini Alphabet stickers are! Next up, I have a little Fall card. I love that flowers from the 3D Roll Up Flowers and Accents sheet can be used in other ways. I punched out the orange flower and used it flat to create a pumpkin. I think it turned out so cute!! Lastly, I have a little card featuring the sweetest little deer. I also used one of the new co-branded MLS/Unity stamps for this card. It's the background stamp called Crunchtime. I used 2 different embossing powders to create a neat colored background. Hope you guys were inspired to create something autumnal for yourself as well! And if you do, please share with us on our Facebook page. We love seeing your creations as well!! Hello, My Little Shoebox friends! I'm happy to share with you my latest projects with the "Oh Deer!" collection. It's the perfect collection for all of your Fall creations. 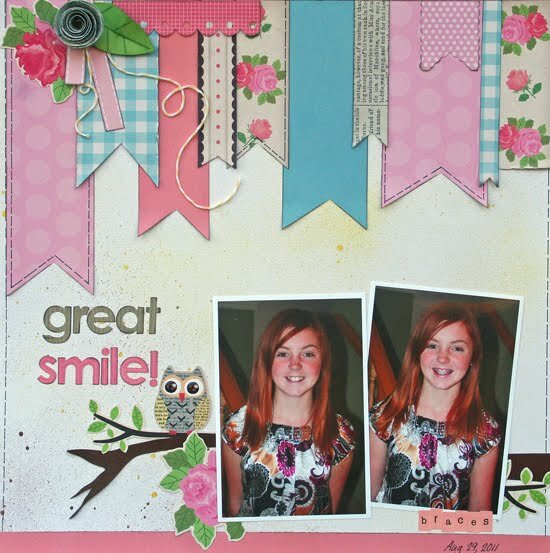 One of my favorite items in this collection is the fabulous woodgrain patterned paper. The fun cardstock stickers add so much character to this collection. I love those little deer! 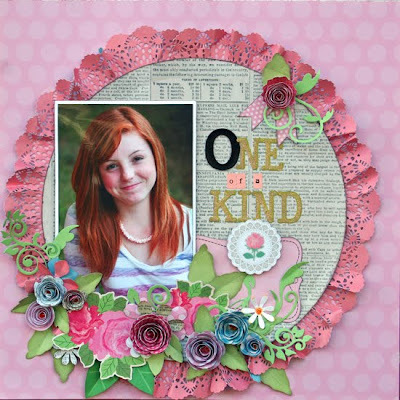 I created this layout with a clustering of embellishments in two distinct areas of my layout. The border strips and flags add charm to any project. I love My Little Shoebox alpha's! For this layout, I created a title with Muse Cardstock Alphabet Stickers and used Mini Alphabet Stickers on my banner. 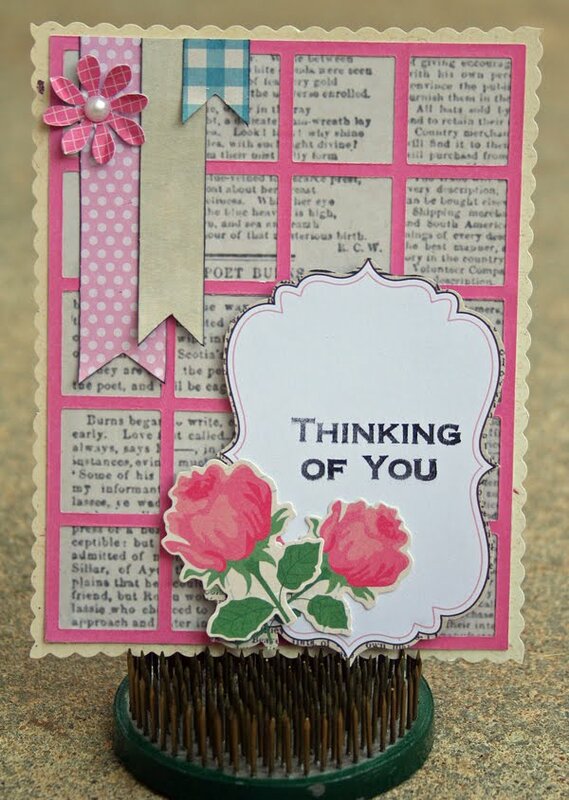 Lastly, I created this card with layering of lots of great cardstock stickers. I love how you can create fun scenes with all of the wonderful embellishments in My Little Shoebox collections. I hope you enjoyed my projects today. Be sure to pick up the entire "Oh Deer!" collection at your favorite craft store.